Can You Solve These Murder Mysteries? We Could If We Had A Little Bit Of Help From You! If you are anyway like us, an unsolved murder mystery doesn’t let you sleep at night. We found pretty gruesome unsolved murder stories but couldn’t figure out the murder. Can you? Being gay in America of 1970’s was tricky and scary at the same time. Even in relatively accepting communities, it was not safe for a gay man to be out and be safe or alive. One predator of young gay men knew this perfectly well and made sure the gay men were terrified of the consequences. He was nicknamed “Doodler” or “Black Doodler” for a reason by the press of that time. He would gain entrance to his victims’ home as their lover, draw their portrait, before stabbing till they die. Total 17 men were attacked in such a gruesome fashion out of which 3 survived. Even though 3 men survived, they refused to out themselves and testifying against the prime suspect. Even though the killings took place in San Francisco, the most accepting areas of the US that existed at the time, victims were afraid of the consequences of coming out. Harvey Milk, Mayor of San Francisco at the time and a gay man himself, stated, “I can understand their position. I respect the pressure society has put on them.” Sadly no arrests were made and the case is since gone cold. 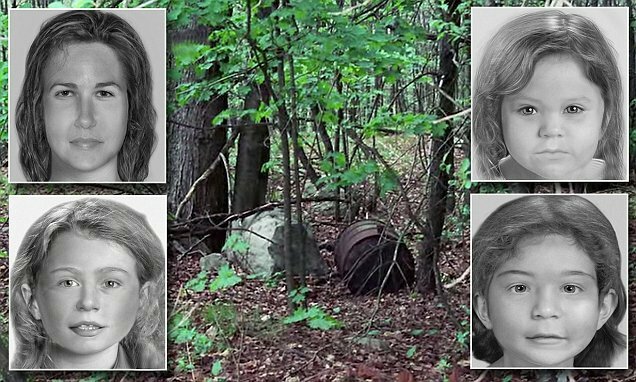 Imagine finding a barrel full of remains of a young girl and a woman. Shocking, isn’t it? In 1985, a barrel was found in Bear Brook State Park in New Hampshire. This barrel contained remains of a small girl and a young woman who was probably between the ages of 23 and 32. The cause of death was assumed to be blunt force trauma to the head before being stuffed in the barrel. When police found dead ends in this case as they were unable to identify the bodies. A detective reopened the case in 2000 and went back to the site and found another barrel only 90 meters away which contained the bodies of two young girls. After testing the bodies it was discovered that they were murdered around the same time as the victims from the other barrel. DNA testing proved that the woman from the first barrel was definitely related to at least two of the children or maybe all 3. One mystery that creates unrest is that how can a young woman with three small children disappear and not be reported missing. Currently, they are the only unidentified murder victims known to the New Hampshire Attorney General’s homicide unit. Not all gangsters are in it for the money, some are like Robin Hood who like to give back to unfortunate ones. 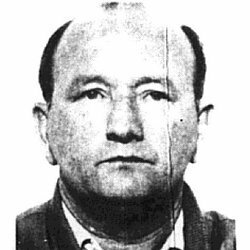 Chicago gangster Theodore Roe was one such criminal. Born in a poor black family in Louisiana, he became one of Chicago’s leading illegal bookmakers and policy kings. By 1940’s he was competing with the Italian Chicago Outfit, which was led by the infamous mobster Sam Giancana. 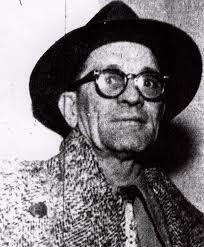 When Giancana wanted to buy Roe, he refused and this instigated Giancana. On June 19, 1951, three mobsters approached Roe’s car claiming to be police officers, apparently as part of a kidnap attempt. Roe wasn’t fooled, and a scuffle broke out that ended with Roe shooting Leonard “Fat Lenny” Caifano dead. Roe was found to have acted in self-defense, but his days were numbered. On August 4, 1952, he was blasted to death by shotgun-wielding assailants outside of his house. Roe was a financially generous man and often gave money to those in need. Over 7,000 locals turned out to pay tribute to him at his funeral service. Nobody ever went to jail for the murder or even charged. The identity of the triggerman remains unknown. In the cycle of the criminal world, Giancana would himself be shot several times in his own basement in 1975. His murder has also never been formally solved. Were you able to solve these murder mysteries? Let us know your thoughts on these murders or any other unresolved murders you know of? Comment Below!